Seen at the New Wimbledon Theatre, at the afternoon performance on 18th October 2014. For me, this show has always been associated solely with Michael Crawford playing Michael Crawford, playing a clowning showman called Barnum. I’ve watched the DVD of that 1980s performance many times, and been disappointed by the one previous revival at the Dominion Theatre some years ago. This re-invention, therefore, was fascinating enough to make me trek across London to see. 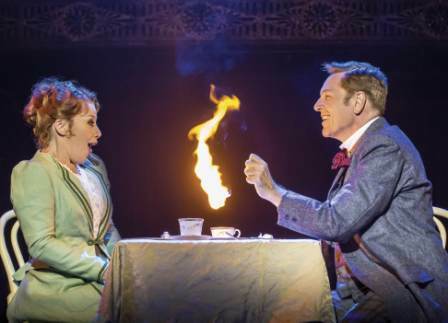 Brian Conley, plus the ever-wonderful Linzi Hateley, doing a Cameron Mackintosh version of a show with great music but a dodgy book? Can’t miss the only chance to catch it in London. So I didn’t. 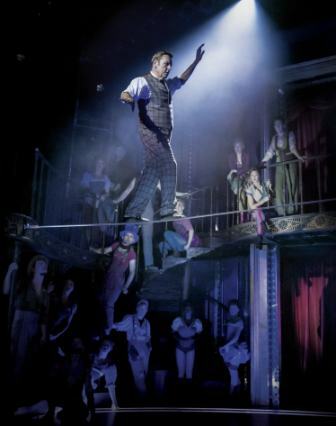 Conley simply plays Barnum. No humbug. He’s thought about the man, and though he banters delightfully with a “homeless man from Detroit” (you had to be there) and later rises to inestimable heights in my esteem by leaving the stage during the final bows to chat to two tiny theatregoers in the third row (getting right down to their level to do it, wow!) – he never forgets that there’s a serious side to both the man and leading a musical. 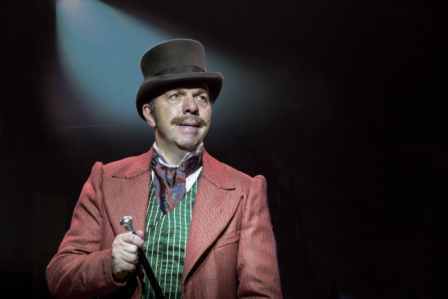 A darkness lies behind Barnum’s fairground exterior, and Conley brings that out in a way no actor playing the role has done before. Sure, he “sing speaks” more than previous incumbents in the job, but his voice is there when required, and his comic timing and magic illusions are impeccable (or he can talk his way out of the odd slip!). 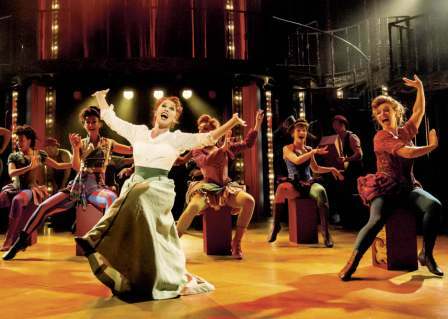 As wife Chairy, West End evergreen star Linzi Hateley pulls off another triumph of musical theatre performing. “The Colours of My Life” and “I Like Your Style” never sounding better, “One Brick at a Time” and “Black and White” never meaning more. Oh, and her concentrating face as she reveals a new talent at the end of the show is almost worth the price of a ticket alone. 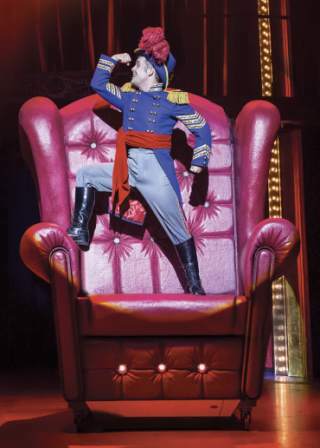 and John Stacey’s commanding Ringmaster. 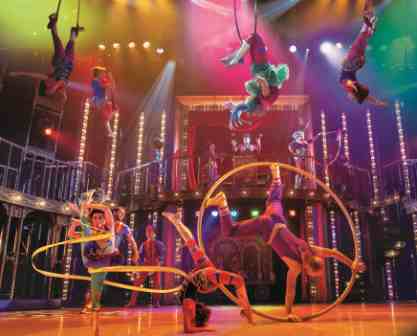 The entire circus ensemble also deserve applause for a huge variety of skills, mostly happening simultaneously all over the stage so that I’m sure I missed at least half of them… though certainly felt the heat of the fire-eating. Fans of the show will note that while act one remains pretty much original, the second half has been more than a little meddled with. Barnum’s emotional change is dealt with in a new and blacker song, “Barnum’s Lament,” and the favourite “Prince of Humbug” has gone. That’s a pity, a real pity, as there is space for it in the show, I think. The changes are not perfect – the tone gets too dark and doesn’t lift soon enough to prevent the short second act from sagging (why the original song was there, I think) but once back on track the ending is inventive and immensely satisfying. 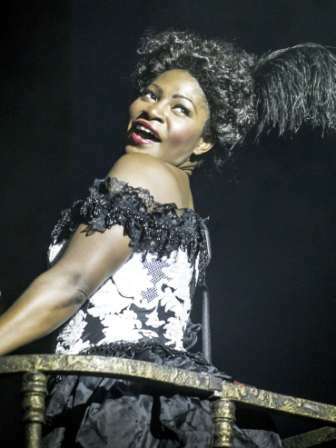 This would need to be scaled up – a larger ensemble, bigger and better set – for a West End production, and the second half still needs another look; but sorted out, and retaining the current leads, one can only hope a home is eventually found for it. As I remarked to my new Midlands friends – found in the adjacent seats to mine – afterwards, and to which they heartily agreed, “That were a right good afternoon out.” If it comes your way, don’t miss the chance to see it. All photographs above, credit: Johan Persson. Used by kind permission.